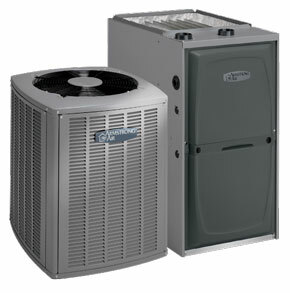 Specializing in residential and commercial air conditioning installation, Chase Heating & Cooling Services is dedicated to keeping clients in the greater Naperville & Oswego, IL area nice and cool. When you work with Chase Heating & Cooling Services, our trained service technicians will sit down with you to discuss your needs and help you find the best air conditioning system for your budget. We pride ourselves on working hard to ensure not only affordability, but quality and complete customer satisfaction as well. So whether you need air conditioning installation for a small home or an entire office building, our highly trained and experienced contractors will provide the speedy, high-quality service you can depend on. If your air conditioner has stopped performing properly, call Chase Heating & Cooling Services for proficient air conditioning repairs at a reasonable price. Our technicians are fully licensed, insured, and prepared to restore your equipment to optimal performance. We're a full-service HVAC company serving residential and commercial property owners in the greater Naperville & Oswego, IL area, and air conditioning repairs happen to be one of our specialties. At Chase Heating & Cooling Services, we aspire to accommodate every HVAC need of our neighbors in the greater Naperville & Oswego, IL area community. Our broad range of skills and many years of industry experience have already gained the trust of many of our neighbors, and we take personal pride in each and every job done well. Call our office or contact us online to schedule air conditioning repairs or an on-site estimate with our HVAC contractor today.